Read the stories that were featured in the March edition of The Big Thrill. 26 new thrillers to get you ready for Spring, including a debut novel from Diane Hester, a Between the Lines interview with Harlan Coben by Anthony J. Franze, a Special to the Big Thrill: Law & Disorder by John Douglas and Mark Olshaker, plus News from South Africa by Michael Sears. And, as if that weren’t enough, an extra Special to the Big Thrill: Love Is Murder by Julie Kramer to celebrate the March paperback release of ITW’s latest anthology: a must-read for all thriller writers and fans! 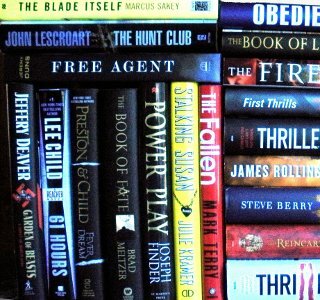 The latest thrillers from Richard L. Mabry, MD, T. Jefferson Parker, Lisa Scottoline, Heather Graham, Stuart Woods, Robert K. Lewis, Nancy J. Cohen, Linda Barnes, Connie Archer, Steph Cha, Raymond Benson, Clea Simon, Katia Lief, Bev Vincent and many more! Join us at BEA this year! Stop by our booth to say hello and help promote ITW and ThrillerFest. ThrillerFest VIII – Register Today! ThrillerFest VIII – July 10th – 13th, Grand Hyatt, NYC. 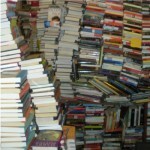 CraftFest — New York Times bestselling authors will share their secrets on the craft of writing. AgentFest — The top agents and editors in the business will be on hand to hear your pitches. ThrillerFest — Network with other writers and meet industry professionals at the fabulous panels. Special guests will be announced soon. TO GET THE BEST DEAL, REGISTER ONLINE TODAY! To view some fabulous interviews from last year’s ThrillerFest, please visit NYC Media. Including interviews with David Morrell, Sandra Brown and many more! Don’t forget to a few minutes and peruse the ThrillerFest VII photo slideshow compliments of Alan Jacobson. LOVE IS MURDER anthology available in paperback! Edited by New York Times bestselling author Sandra Brown! Go on vacation with Allison Brennan’s Lucy Kincaid, where she saves a man from drowning, only to discover he is in far greater danger on land. Meet Roxanne St. Claire’s “bullet catcher”–bodyguard Donovan Rush–who may have met his match in the sexually charged “Diamond Drop.” Debut author William Simon shows us what happens when the granddaughter of the president of the United States is kidnapped. 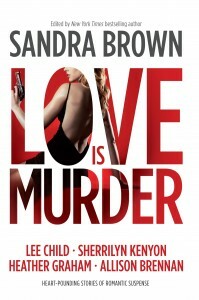 And Lee Child’s pitch-perfect “I Heard a Romantic Story” puts a whole new spin on Love Is Murder. Bodyguards, vigilantes, stalkers, serial killers, women (and men!) in jeopardy, cops, thieves, PIs, killers–these all-new stories will keep you thrilled and chilled late into the night. LOVE IS MURDER is the third Thriller anthology written exclusively by members of International Thriller Writers, Inc. With original short stories from Lori Armstrong, Jeff Ayers, Beverly Barton, William Bernhardt, Allison Brennan, Robert Browne, Pamela Callow, Toni McGee Causey, Lee Child, JT Ellison, Bill Floyd, Cindy Gerard, Heather Graham, Laura Griffin, Vicki Hinze, Andrea Kane, Julie Kenner, Sherrilyn Kenyon, Dianna Love, Jon Land, D.P. Lyle, James Macomber, Carla Neggers, Brenda Novak, Patricia Rosemoor, William Simon, Alexandra Sokoloff, Roxanne St. Claire, Mariah Stewart, and Debra Webb, you won’t want to miss this! Now available in paperback at Amazon and Barnes and Noble! Whether you’re a fan or an author, you’ll want to join the Thriller Roundtable discussions at TheBigThrill website, where each week a new group of authors discuss everything from what they love about writing thrillers, to what they’ve learned, and more. Here’s what’s in store for March! March 4 – 10: “Who do you prefer to write best, the protagonist or the antagonist, and why?” with Mick Sims, Shannon Baker, Phillip Donlay, Jess Faraday, Erin Hart and Anne Petty. March 11 – 17: “How do you separate yourself from the characters you write? Or do you?” with Mick Sims, Nancy Bilyeau, Mark de Castrique, Shelia Goss, Wendy Soliman and Erin Hart. March 18 – 24: “Great opening lines, which one is your favorite?” with Mick Sims, Shannon Baker, Erin Hart and J.H. Bogran. March 25 – 31: “How do you add realism to your dialogue lines?” with Mick Sims, Neil Plakcy, Alan L. Moss, Erin Hart and J.H. Bogran. Congratulations to Ben Moore, the winner of this month’s BIG THRILL giveaway. Ben will receive an assortment of signed thrillers including A Cold and Lonely Place by Sara J. Henry, Iscariot by Tosca Lee, Without Consent by Bev Irwin, Montana’s Way by Sheila M. Goss, The Cornerstone by Anne C. Petty, Green Light for Murder by Heywood Gould, Dukkha by Loren W. Christensen, Silent Slaughter by C.E. Lawrence, Blood Red Sari by Ashok Banker, Oodles of Poodles by Linda O. Johnston, Death, Taxes and Peach Sangria by Diane Kelly, Perfect Hatred by Leighton Gage and Hammett Unwritten by Owen Fitzstephen. All subscribers to THE BIG THRILL webzine are automatically eligible for the monthly drawing. CLICK HERE to subscribe to the BIG THRILL email.